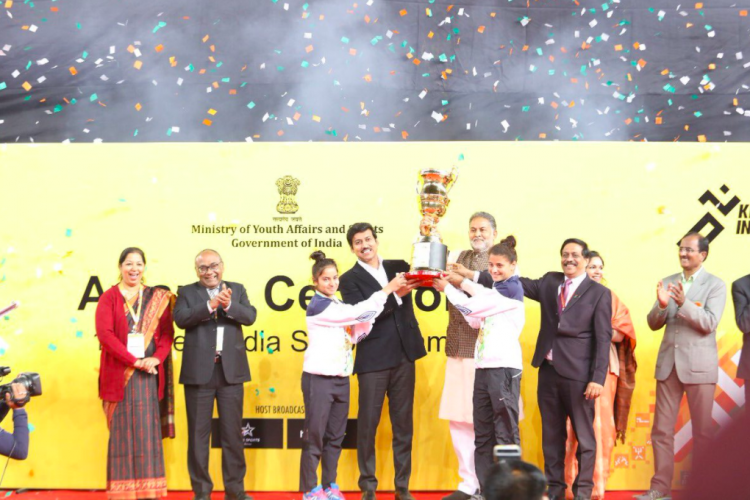 Ending last day with 15 medals, Haryana overtakes Maharashtra and emerged as a champion at inaugural Khelo India School Games. Haryana ended with 38 gold, 26 silver and 38 bronze medals, while Maharashtra finished the Games with 36 gold, 32 silver and 42 bronze. Although Maharashtra won 110 medals in total as compared to Haryana’s 102, Haryana changes the tally by winning 10 gold medals on the final day.